Set the clock and off you go! 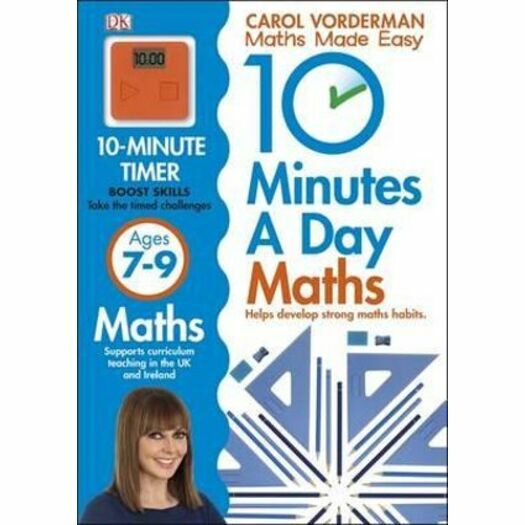 Young learners excel in short bursts, so 10 Minutes a Day Basic Maths Skills from Carol Vorderman will help them improve their maths and problem solving abilities without growing bored or restless. Games and tests take a short amount of time - maximum fun for maximum effect. There are 10 minute exercises on numbers, patterns, measures, data and shapes, plus set the funky orange timer to test your child in fun 'beat the clock' tests. 10 Minutes a Day Basic Maths Skills will ensure boredom is a thing of the past and wow teachers and friends alike. Supports National Curriculum at Key Stage 2.